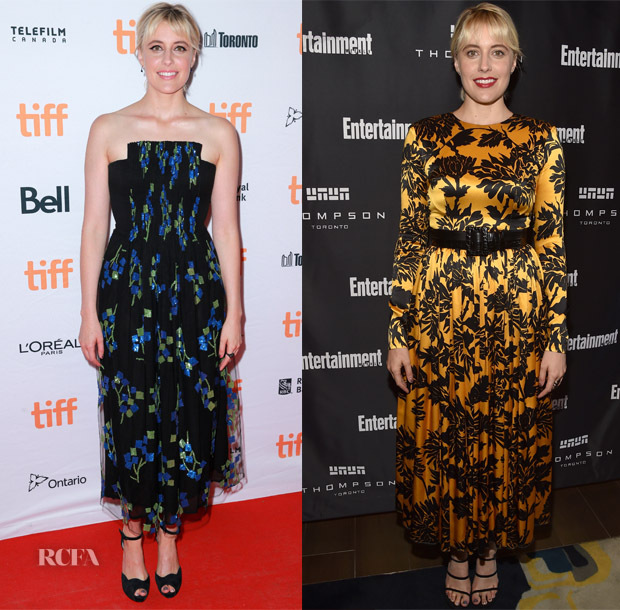 In the day, Greta Gerwig attended the ‘Lady Bird’ Toronto Film Festival premiere. At night, she celebrated the HFPA & InStyle TIFF Party on Saturday (September 9) with a display of bold prints. ‘Lady Bird’ Premiere: By day, the actress opted for a Giorgio Armani Fall 2017 strapless column. She lost the trousers from the runway version and extended the dress so it hit just above the ankles. She tempered the bold blue print with ankle-strap heels. 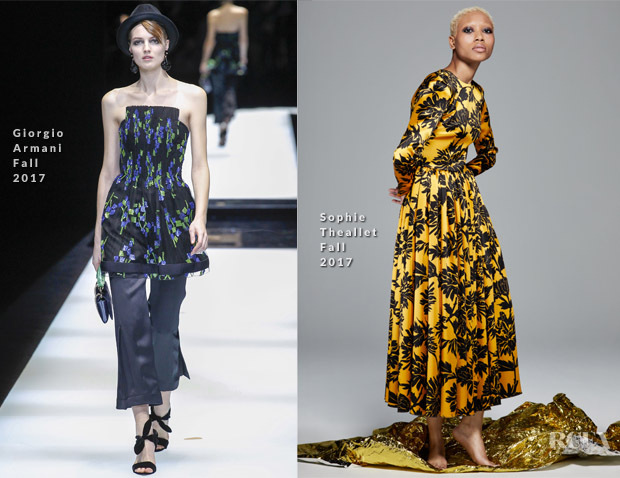 HFPA & InStyle TIFF Party: In the evening, Greta donned bold prints again with a Sophie Theallet Fall 2017 number. Rather than a feeling of déjà vu, the saffron frock with pleating and long sleeves felt fresh. I would have preferred it without the thick belt as it presents a conflicting daytime feeling.